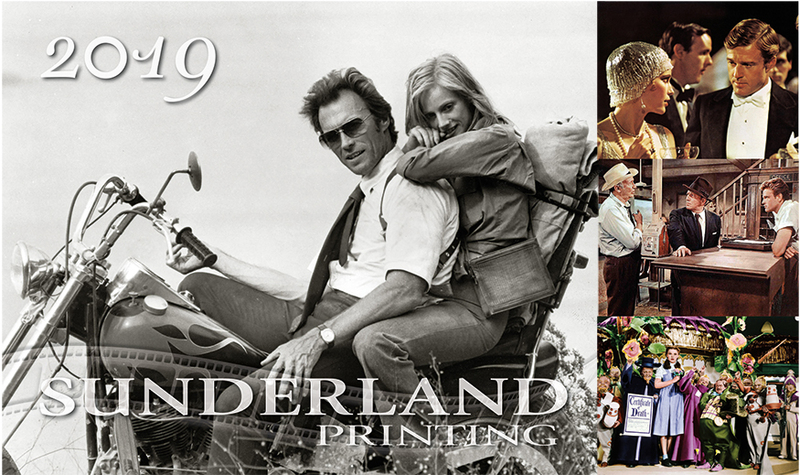 Stop by for a complimentary 2019 Sunderland calendar! Sunderland Printing understands the importance of your image. We take pride in making your company shine in every printed piece we produce. With over 25 years in business, we have the experience to make your next venture look fantastic. Our skilled prepress department is what could make the biggest difference in the success of your print job. Every job presented to Sunderland Printing is scrutinized by either Paul or Sean. We have state-of-the-art equipment which enables us to preflight and fine tune virtually any file type you may have. Whether your file is Mac or PC based, professionally composed or desktop published, we’ll make sure the final output is the best it can be. Quality and value have been the Sunderland Printing trademark since the beginning. We’ve invested in the best—our prepress, printing and bindery is powered by Heidelberg. We know that our focus on delivering the highest quality printed products at the best value, and on time, is what is most important to you. Please give us a shot at your next print project! Copyright © 2019 · Sunderland Printing / Instant Offset Press, Inc.